Derry, New Hampshire. K-8 school. Site includes contact information and directions, news, calendar, a look at the curriculum, and information on the PTSO. Parochial school for children in preschool through grade 8. Detailed information on curriculum for each grade level. School calendar. 2 Saint Joseph School Wilmette, Illinois. Wilmette, Illinois. Parochial school for children in preschool through grade 8. Detailed information on curriculum for each grade level. School calendar. Colonia, New Jersey. Pre-K to grade 8. Information on all grade levels. K5-12th grade coeducational school. Find the statement of faith, extracurricular activities, school calendar, and contact information. Parish with pre-kindergarten through eighth grade parochial school. Staff for both, Mass times, sacramental policies, how to become a member of the church. Church and school bulletins, school athletic programs. A Christian school offering pre-school through 12th grade, with many activities and sports teams that compete with the Catholic, Lutheran and public schools. A Christian school in St. Louis, Missouri that offers pre-school through 12th grade, with many activities and sports teams that compete with the Catholic, Lutheran and public schools. 8 Saint Marys Catholic School Taylor, Texas. Taylor, Texas. A pre-K through 8th grade school. Offering K3 through 8th grade. Location map, school overview, and contact form. Accredited Catholic parochial school for pre-kindergarten through sixth grade. Offers half-day and full-day kindergarten. Curriculum, admissions information, school supplies list, calendar, activities for students. School includes full day preschool and Kindergarten to eighth grade. Before and after school care program available. Includes location, contacts, youth activities and faculty profile. WELS. Worship and Sunday school times, mission statement, summary of beliefs, contact information, parish activities. Parochial school offers a Christian education from pre-kindergarten through eighth grade. 14 Our Lady of Lourdes School Montclair, California. Montclair, California. Co-educational, private Catholic school. Kindergarten to 8th grade. A preschool and K - 12th grade Christian school located in Tampa, FL. This site provides information regarding admissions, policies, and announcements. Full-time Christian day school from kindergarten through grade eight, supported by three Missouri Synod congregations. Includes academic and extra-curricular program activities for pre-school to eighth grade. 19 Saint Matthew School Bristol, Connecticut. Bristol, Connecticut. Parochial school for pre-kindergarten through grade 8. Mission statement, educational philosophy, overview of the curriculum. 20 Trinity Lutheran Church & School Missouri Synod. Missouri Synod. Traditional and contemporary worship services. Parochial school serves preschoolers through grade 8. 21 Good Shepherd Episcopal School Tequesta, FL. Tequesta, FL. Pre-K through 5th grade. Gives detailed class information, mission of the school, dress code, and lunch menus. Pre-K through 12th grade American-style program. Provides admissions information, school history, calendar of events, and online job application. Helping every child achieve since 1976 with certified & accredited classes K3 - 8th grade. TCS is a non-Profit interdenominational school in Sarasota - Bradenton, FL. 24 Peace Lutheran School Shelby Township. Shelby Township. Includes curriculum and program information, staff, activities and events, and contacts for pre-school to eighth grade. 25 Saint Rose School Newtown, Connecticut. Newtown, Connecticut. Accredited school, pre-kindergarten through eighth grade. Curriculum, registration information, daily schedule, calendar, newsletter. Located in Seoul. Pre-K through 12th grade American-style program. Provides admissions information, school history, calendar of events, and online job application. A private Jewish day school for students in pre-K through the eighth grade, reflecting the philosophy and practices of contemporary conservative Judaism. 28 Saint Patrick Catholic School Lufkin, Texas. Lufkin, Texas. Accredited pre-kindergarten through grade 8 parochial school. Contact information, curriculum, mission statement, calendar, tuition rates. Fall River, Massachusetts. Catholic Christian elementary and middle school serving pre-kindergarten through grade 8. Staff directory, newsletter, contact information. Pre-kindergarten through 8th grade Catholic parochial school. Upcoming events, where closings will be announced, illustrated history, their mission, student-parent handbook, uniform policy. A Catholic private school offering education for Preschool through 8th grade, located in Birmingham, Alabama. Herkimer, New York. Pre-K to 8th grade Catholic school. If the business hours of Saint Thomas Aquinas School in may vary on holidays like Valentine’s Day, Washington’s Birthday, St. Patrick’s Day, Easter, Easter eve and Mother’s day. We display standard opening hours and price ranges in our profile site. We recommend to check out staderry.com/ for further information. 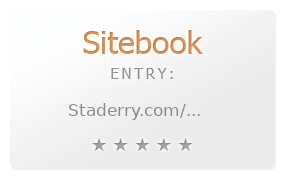 You can also search for Alternatives for staderry.com/ on our Review Site Sitebook.org All trademarks are the property of their respective owners. If we should delete this entry, please send us a short E-Mail.